Isfahan or Esfahan,the spelling it seems is up to you, is located in central Iran and is known for it’s Persian architecture and UNESCO world heritage listed square. 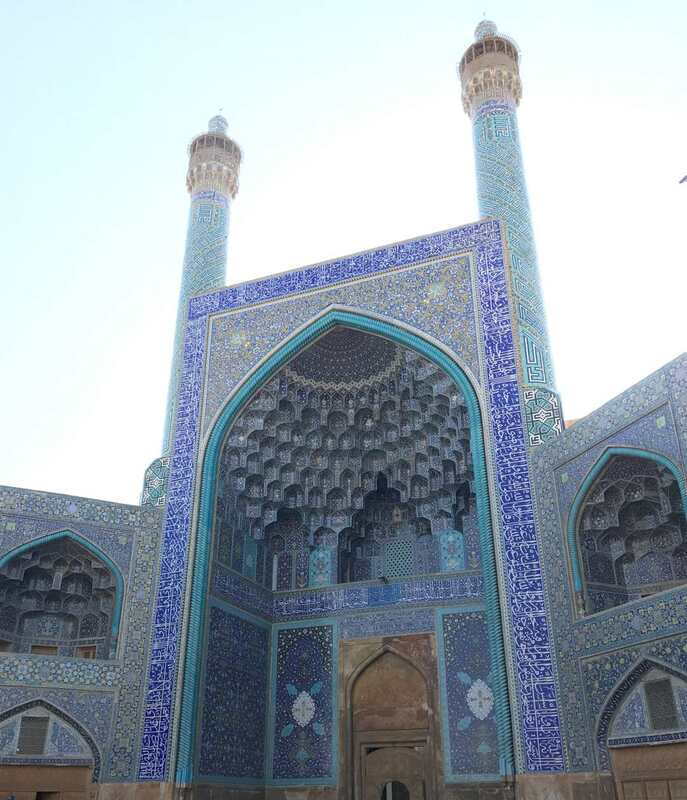 We travelled to Isfahan, by VIP bus and thanks to our hosts in Shiraz the bus company were expecting an Aussie couple and quickly had us organised on the bus. The 1100 o’clock bus left at 1030 and we were pretty impressed by the efficiency although we did wonder what happened to the people who turned up at 1045 for the 1100 bus. The landscape is quite awe inspiring with mountains that seem to emerge out of flat plains; jagged peaks and sheer cliffs. The country is a monotone; brown cliffs, brown sandy plains with brown tussocks and bare deciduous trees – we were travelling during the Iranian winter and imagine that during spring and summer the green of the trees would liven up the panorama somewhat. We stopped at a roadside cafe and were urged by the driver to get out for a cup of coffee, we would advise avoiding the coffee, have the tea. The coffee resembled grey dirty dish water while the tea looked and smelt delicious. The bus trip from Shiraz to Isfahan took about 6 hours and whilst the bus was comfortable, we were glad to arrive. 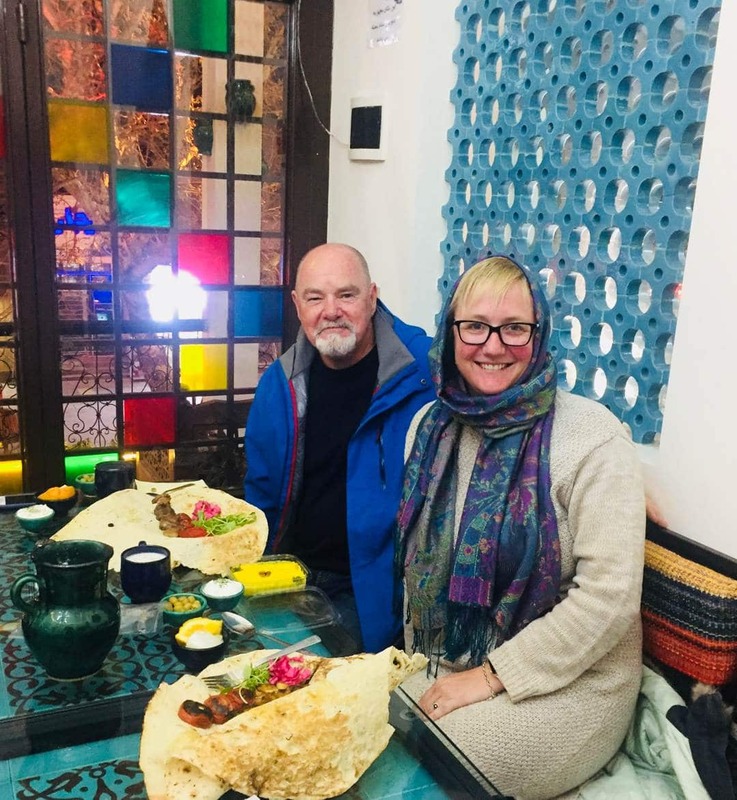 The bus terminal in Isfahan is quite a way out of the city and we had to get a taxi to our accomodation at Dibai House Heritage Guesthouse. It took our taxi driver a few times around the block and a number of stops to ask for directions before we were dropped off at the end of a narrow pedestrian only alley way, eventually we located the door and after a few minutes entered the restored 17th century courtyard and guesthouse. Isfahan is a much larger city than Shiraz which and Dibai was an oasis away from the noisy drama of the city. We were once again welcomed with tea and sweets in the courtyard before being shown to our room. Soufi, the owner has clearly lovingly restored the building and it is a delight of mosaic tiling, coloured windows and traditional art and crafts. As we had only eaten a snack on the bus, we settled our belongings and set off to find some dinner. 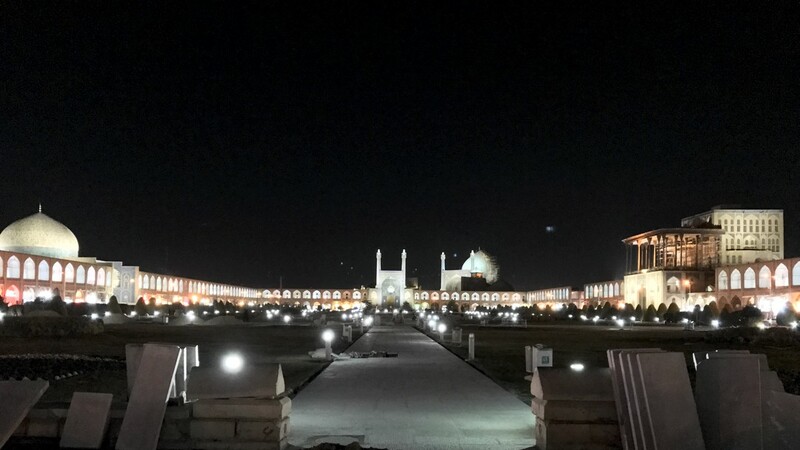 We bravely set forth into the byzantine alleyways and onto a wide boulevard, which surprisingly led right us right onto Imam Square or more correctly Naqsh-e Jahan Square, a UNESCO world heritage site and one of the largest squares in the world. We had hardly stepped into the space when we were accosted by a shopkeeper, who introduced himself as Saeed. He insisted that we join him in his shop for a cup of tea and then while we chatted, he told us that he knew of a traditional restaurant we could go to. Not only that, he walked us right down the street to it! Believe every word that you read and hear about the hospitality of the Iranians, we really felt safe, comfortable and welcome, not to mention well hydrated with all those cups of tea. At the Atigh Traditional Restaurant, we were seated in a private room, where the owner, Mohammedi, attempted to take our order. Language was a bit of a problem as his English was limited and our Farsi, non existent. In the 3 days we stayed in Shiraz we managed to learnt to say thank you, motshakarem. The solution? Mohammed pulled out his iPhone, fired up Google Translate and then commenced the oddest conversation, with him speaking into the phone in Farsi, the phone speaking to us in English and then vice versa. We all had an hilarious time, what with explaining our wish to have a traditional meal, him advising which to choose and then moving on to talking about our children, Iranian people, Australian people and various other topics before the food started to arrive. And it seemed it would never stop. The meal was amazing in and again we were reminded that the Iranian’s are capable of out eating us. After dinner we had a quick stroll around the Imam Square, in an attempt to walk off some of our dinner, before the cold night hurried us home to bed. We had a late breakfast before setting of for our daily walk, we find walking the best way to get to know a city and it is a good way of getting some exercise too. We were keen to see the incredible architecture of Naqsh-e Jahan square and explore the bazaar, in the daylight. The square is huge and an important historical and architectural sight in Iran. It is surrounded by the Grand Bazaar and contains 2 mosques and the Ali Qapu Palace. 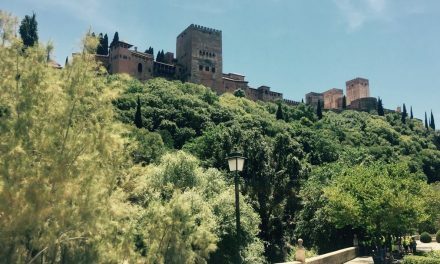 It is a wonderful place to meander and take in the sights, we were not able to visit the palace as it was under going renovations and the mosques were not open to non muslim visitors which really did not bother us much. The Square itself is quite the sight. We were again greeted by many people wanting to enquire where we were from and nearly caused a riot amongst a group of primary school girls; the poor teacher was left with no students as they rushed to greet us and suddenly we were in the middle of a pink sea of niqabs all shouting out their names and asking a million questions about Australia. We finally broke away from them and studiously avoided any other school groups so as not to disturb any more teachers. We met a young local man who advised that we head to the Armenian Quarter, New Julfa, for the best coffee in the city and to see the Christian Armenian Church, the Vank Cathedral. We were aware that it was Christmas for the Orthodox Armenian community and headed off to wish them a Merry Christmas. 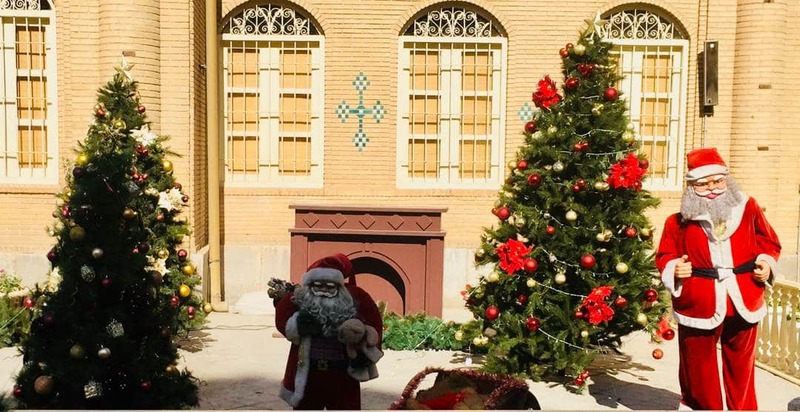 It was lovely and surprising to see Christmas decorations in the street and a bit weird to see Santa in the church grounds, it is not what you would expect in a strictly Muslim state but there you go, you do learn something everyday. 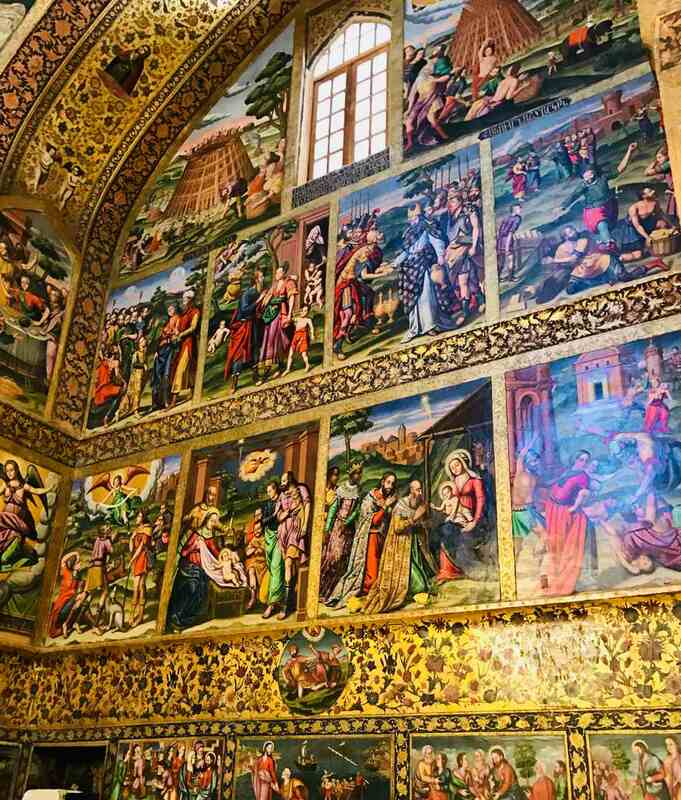 The Cathedral, built in 1655 is covered in brightly coloured murals depicting biblical scenes in the Orthodox tradition. It is incredibly ornate and very much worth the visit. Within the grounds of the Cathedral is the Armenian Museum. It is a collection of artefacts and documents relating to the Armenian diaspora within Iran and across the globe. It contains documents and images related to the Armenian Genocide of 1915, an horrific period of modern history which is ignored by much of the world still today. It is a confronting exhibition and we were left feeling quite sad and disturbed. One of the famous coffees was in order to put us back in happy mode. New Julfa, is clearly a quite well-to-do suburb of the city and quite “trendy”. There are lots of shops, cafes and modern take away type places. We had a coffee and chicken kebab, which we were surprised to find cost almost as much as our meal the night before. It is obviously advisable to eat in the more traditional Old City if you are on a budget. 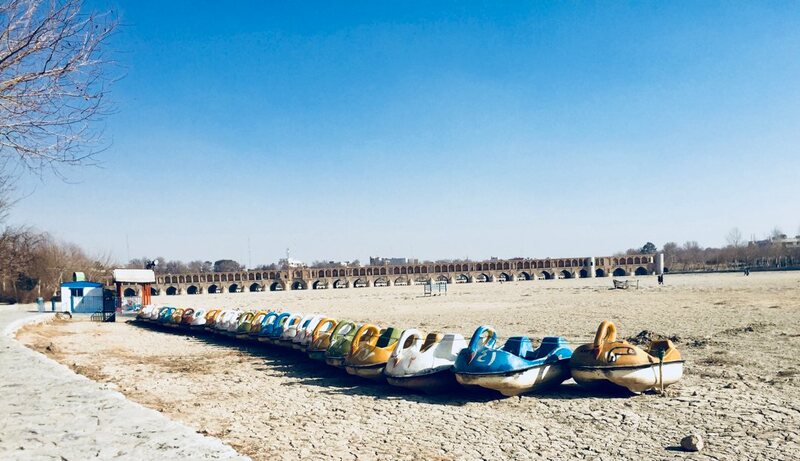 One of the attractions that we had come to see in Isfahan was the Zayanderud River and Si-0-se Pol bridge, what river? There clearly has not been water in the Zayanderud river for sometime, it is as dry as bone and many locals have given up using the bridges and just cross the river bed. It was disturbing to see and the Si-o-se Pol bridge, famous for its arches and acoustics was a disappointment without water. The many beautiful photos we had seen online had clearly been taken many years before. Dinner at Dibai House promised to be a mix of Spanish, where Soufi, the owner, now lives, and Iranian but did not really excite us. A fairly pedestrian meal of chicken with dates, rice and salad, perhaps it would have been better to have tried some of the fantastic smelling street food but it was just too cold to go out again. Our third and final day in Isfahan was a national day of mourning, as a former president was to be buried in Tehran. Many of the shops were closed and people were out spending the day picnicking in the square, enjoying some winter sun. The bazaar was less crowded and therefore gave us a good opportunity to wander without the usual crowds and to chat to the stall keepers. We spent some time just meandering around the old city streets, enjoying not really knowing where we were and admiring the architecture which spans many centuries. It was another sunny but cool day, perfect for an afternoon sitting in the sun, reading and a chance for us to rest and for Ian to recuperate from a newly sustained back injury. A very cold night and we both rugged up with our thermals on to take a quick walk down the street and grab some fast food, pizza Iranian style, an interesting but not really to our taste version. Lesson learnt we should have stayed with the traditional restaurants. If you would like more information or to give us some feedback on this article please leave a comment below or contact us. If you found this helpful or know someone who might please share it using the social media buttons below. Like it a lot, WHY NOT rate the page? 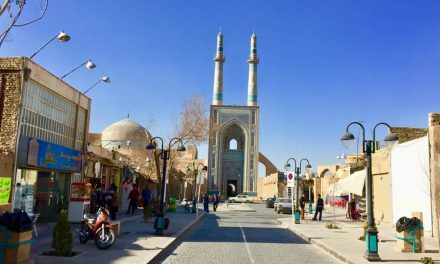 Nice post about Isfahan. 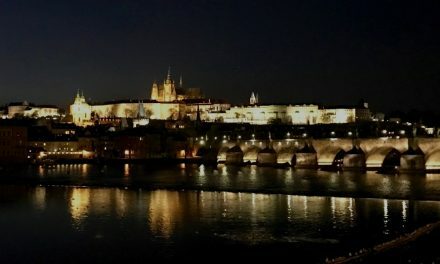 I got to know about new destination here. Seems to be a beautiful and colorful place. Hi Varsha, thanks for commenting. We are glad that you got to learn about a new place, perhaps you will be able to visit? I really enjoy reading about countries I may never get to see in person. The mosaic art work on this building is amazing! So strange about the Zayanderud River. Do you know why it dried up? Nice mosaic tiled building there! And Google Translate is usually the saviour for language barriers. The voice mode is something that we also found out recently. And from what I read it seems quite nice and normal place. Is it safe there? Hi Baia, thanks for your comments. 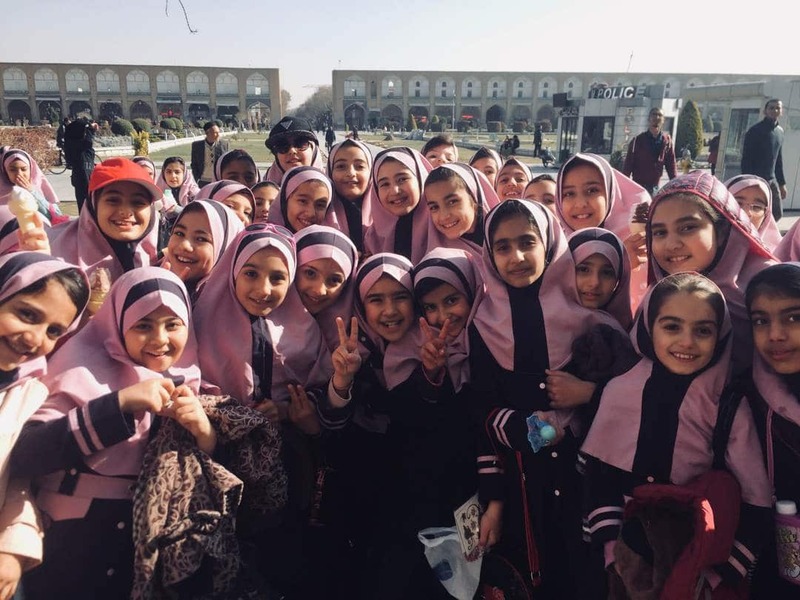 Iran was really safe, we did not encounter any issues at all and would recommend ignoring most of what you see about this fascinating country in Western media. Hi Baia, that is sad that none of your friends want to go. 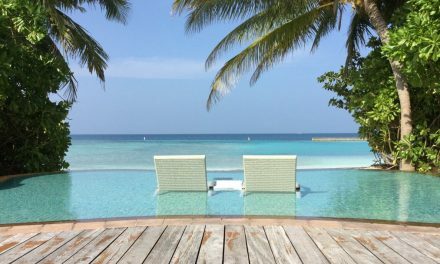 Maybe a solo trip for you?